Your adventure begins with a city tour of Reykjavik, including a stop at Perlan, located on the Öskjuhlid hill, which offers a spectacular view over the capital area. Then enjoy a dip in the pleasantly warm waters of the famous Blue Lagoon, reputed for its healing properties. 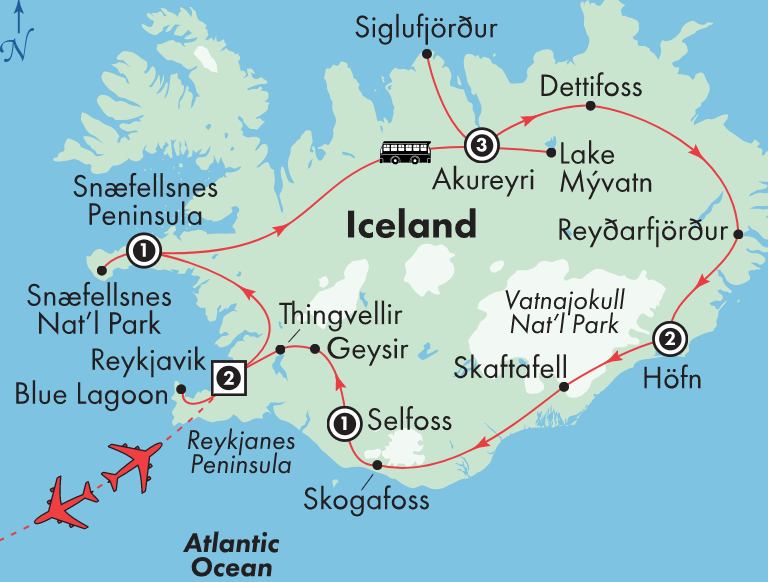 Journey into the countryside at the magnificent Snæfellsnes Peninsula, with its striking Snæfellsjökull Glacier, then on to the expansive black sea shore of Djúpalónssandur and the picturesque harbor village of Arnarstapi, with its magnificent columnar basalt rock formations. 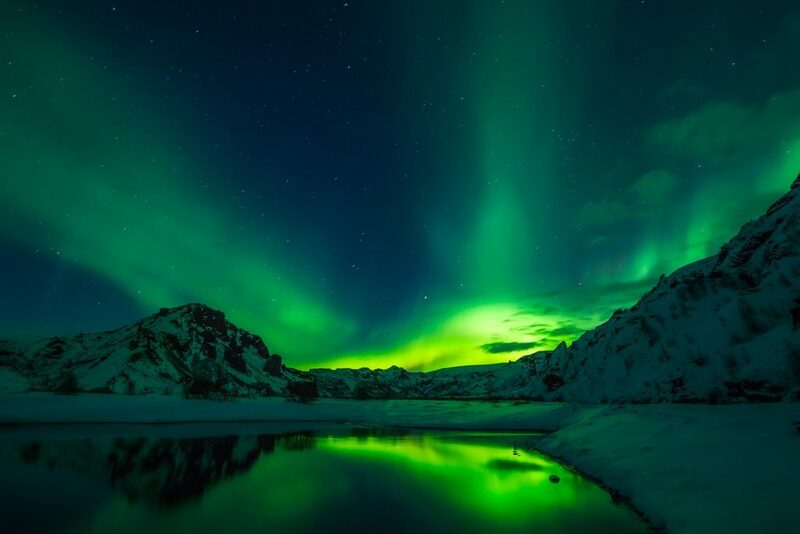 Depart for Akureyri, cultural capital of the North, with stunning views of snow-capped peaks, and enjoy a city tour and a visit to the Botanical Gardens, featuring specimens of almost all native Icelandic plants. Travel through the Héôinsfjörôur Tunnel to the historic herring-fishing town of Siglufjörôur, the nearest town to the Arctic Circle. Tour the award-winning Herring Era Museum, depicting history of the very important herring fishing industry, before spending some time at leisure. In Lake Myvatn, with its crystal-blue waters in one of Iceland’s prettiest areas, stop at the majestic two-tiered Goðafoss Waterfall, named the “Waterfall of the Gods”, and see the pseudo craters at Skútustaôi and the bizarre lava formations at Dimmuborgir. Then, head east to view the Dettifoss Waterfall, reputed to be the most powerful and largest in Europe, with sounds so thunderous that it makes the surrounding rocks vibrate. Discover the might of the Vatnajökull Glacier, the largest glacier in all of Europe with several still-active volcanoes situated underneath the ice cap. 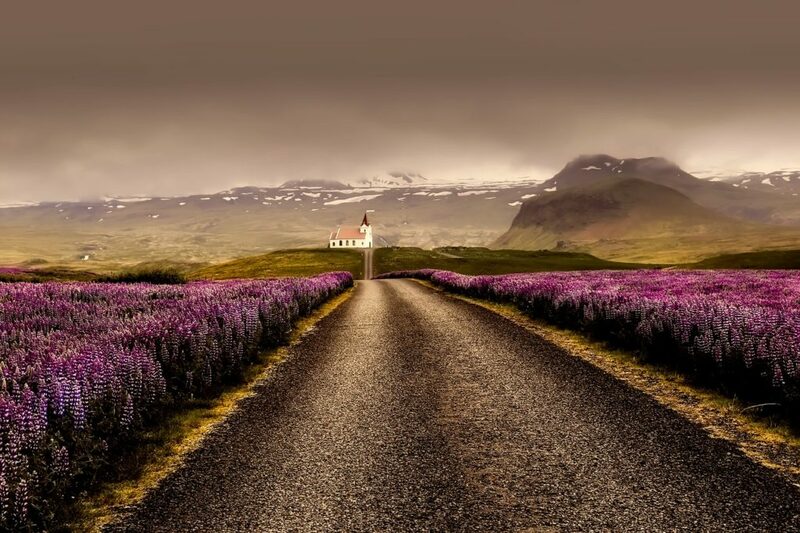 Head to the unique alpine setting of Skaftafell National Park, shaped by natural forces acting together to create a park of unmatched beauty as a result of glaciers and volcanoes slowly interacting over time, then make your way to Dyrhólaey, a solitary cliff teeming with bird life and the grand Skógafoss Waterfall, rivaling Gullfoss as Iceland’s most famous waterfall. 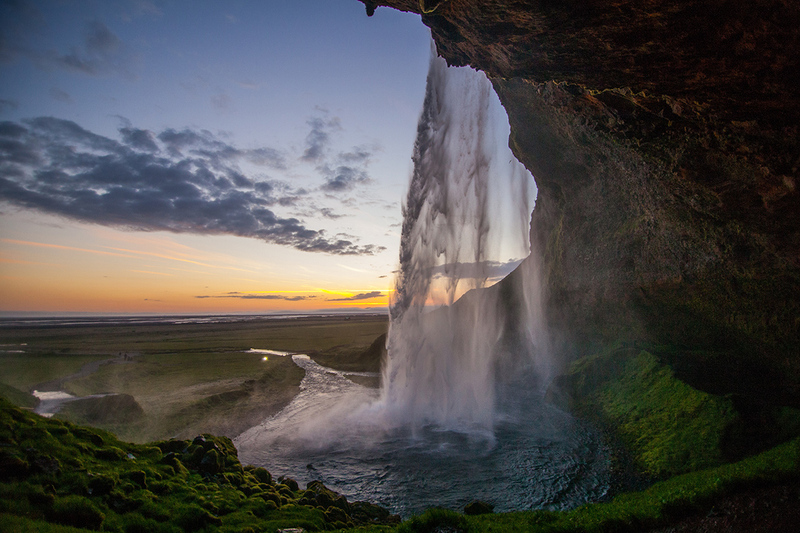 Next, watch the Strokkur Geyser erupt every few minutes, spewing hot water high into the air, and marvel at the magnificent Gullfoss Waterfall (Golden Falls), with its 100 foot double cascade flowing into the Hvita River. You will also visit Thingvellir National Park and the Friðheimar Tomato and Horse Farm, where you will meet young Icelanders who innovated a process for growing tomatoes in bumble-bee nurtured greenhouses. Lastly, return to Reykjavik for one final night at leisure. Round trip flights Montreal-Reykjavik, Reykjavik-Montreal. Please Note: The optional Breidafjördur Fjord Boat Tour is not available before May 15 or after Sep 30. *Please note: The boat excursion on the Jokulsarlon Glacial Lagoon is not offered before May 1 or after Oct 15.